TANYA MARKOVA x DANTE GULAPA Is The Epic Crossover We Never Knew We Needed! - MYX | YOUR CHOICE. YOUR MUSIC. TANYA MARKOVA x DANTE GULAPA Is The Epic Crossover We Never Knew We Needed! #MasMasayaPagMayTanyaMarkova, it really is! During the band's last song on their Rakrakan Festival 2019 set, they were joined by Internet sensation Dante Gulapa and the crowd went wild. 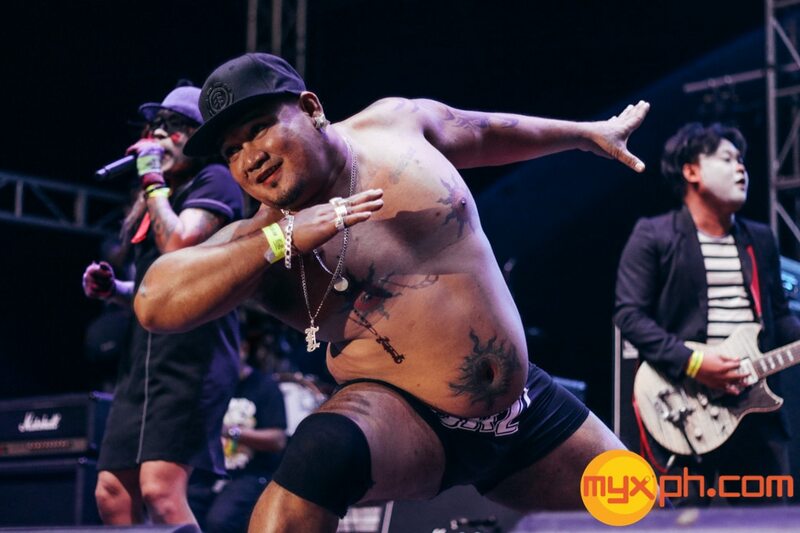 Of course, the dancer did his viral “Eagle Pose” move along with Norma Love, Iwa Motors, and MowMow of Tanya Markova! Dante even took off his shirt and danced to the band’s hit “Disney”! The epic crossover was definitely one of the highlights of Rakrakan Festival’s Day 1! Dante Gulapa became a certified online sensation after his dance videos caught the attention of netizens. Aside from Facebook, he just created an Instagram account @gulapasantosdante so feel free to follow him, #Gulapanatics!